A Japanese national identified as Mazakasa Nose deserved a pat on the back for voluntarily sharing his time and resources in helping keep the City of Baguio clean and litter-free. 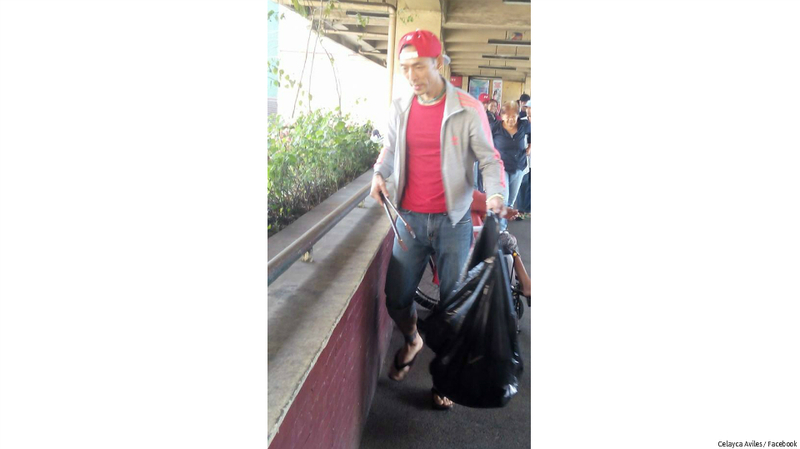 Nose may not be a Filipino but, he made a remarkable contribution to maintain cleanliness in the summer capital of the Philippines by cleaning the overpass that connects Maharlika and Tiongsan. This has already become part of Nose’s morning routine during his free time as reported on GMA online. His deep sense of volunteerism has earned the admiration and respect of the people of Baguio. According to the Cordillera Sun, a local news site, Nose regularly brings with him a black garbage bag and a tong to pick up the waste at the overpass. His praise worthy gestures and good deeds did not pass unnoticed as Baguio resident Celayca Aviles posted photos of him on her facebook account, and received hundreds of shares in various blogs. “Mabuti pa ang ibang lahi may malasakit. Samantalang iyong mga dumadaan naman sa overpass na mahilig magtapon ng kung saan, walang pakialam. Nakakahiyang isipin ibang lahi pa ang naglilinis sa mga kalat natin,” Aviles disclosed. (“It is a good thing to note that other people has shown concern and have been doing their contribution to ensure cleanliness. It is a shame on our part that other race clean our mess,” Aviles disclosed). On a similar note, this kind of Japanese discipline was witnessed during the World Cup games in Brazil a few months ago wherein Japanese football fans picked up their junks and didn’t leave the stadium until it was free from litter. Relative to this, reports bared that when a tsunami ravaged swathes of the Japanese coastline, people lined up and patiently waited for their turns in receiving relief goods as well as in buying from open businesses. The Japanese discipline is truly one for the record.